Our black room divider screen is pure sophistication. Why not try a black room divider screen? With our room divider Facet in the color black you can create a certain mystified ambiance. It displays mystery and sophistication, while it still fits in a robust, modern interior. There are many reasons why a black room divider screen would be the best option for you. Maybe your style is robust and masculine. A room divider screen in black would then suit your style best. Or maybe the colors in your place will work better in combination with black. Another reason might be that you want to convey the mysteriousness and sophistication that comes along with a black room divider screen. Whatever the reason may be, our room divider Facet in the color black will most certainly be a conversation piece in your place. Black room divider screen with different shades of black. 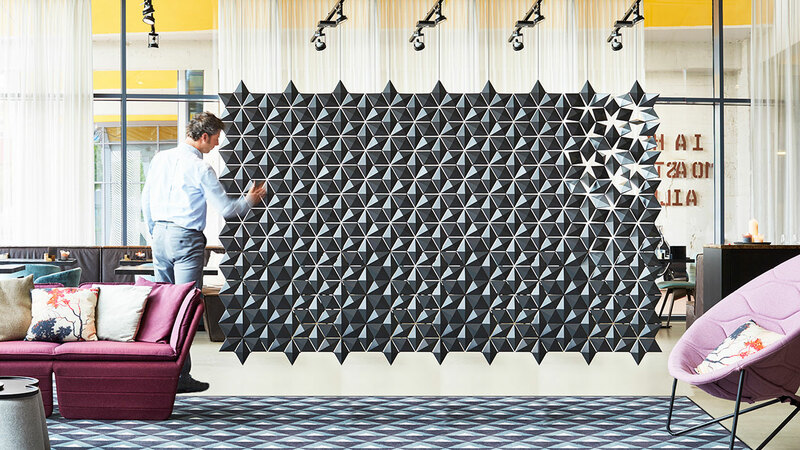 Our room divider screen consists of individual pieces, shaped and folded like a diamond. These pieces form the stunning geometric pattern. Because of the unique shape of the individual pieces, light gets reflected off of it in a glorious way. Some parts look pitch black while other areas exhibit a gun metal color. A good idea if you want to make the pattern more noticeable, place it in front of a bright colored wall or bright light for extra contrast. This makes it a one of a kind choice for a room divider. The ceiling attachments are carried out in brushed stainless steel to blend in with your black room divider screen. We can make your room divider in any size you want. Want to order three different ones in different sizes? No problem! Just send through the dimensions and we are happy to make them for you. Attaching the room divider screen to your ceiling is made simple by the smart design. With every order we also send our step-by-step user manual so that you can properly secure the screen where it should be. If you might need further assistance, just give us a call or send us an email. We are ready for you! 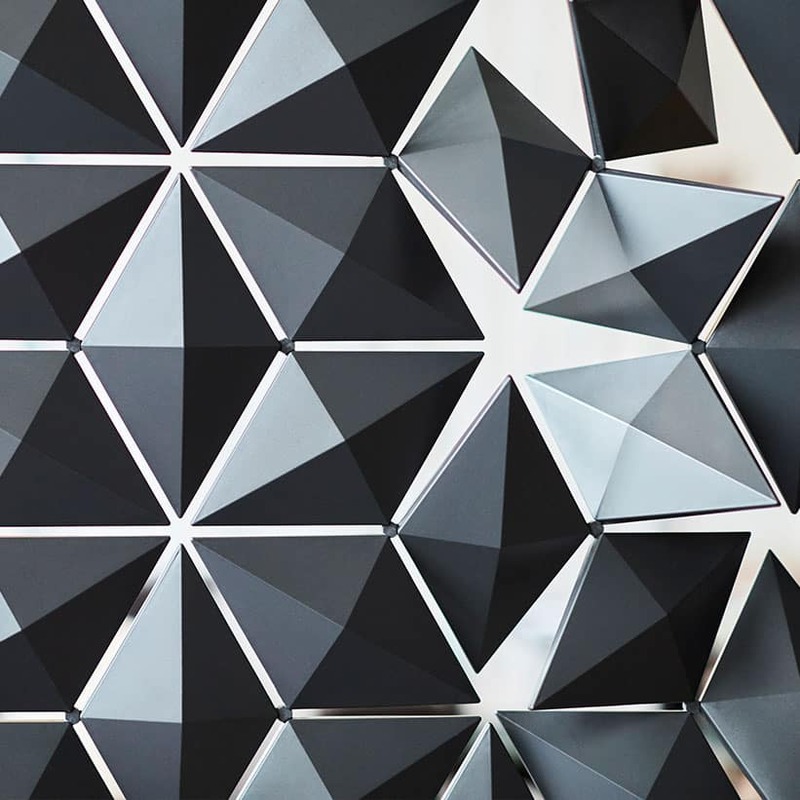 Featured in the photos on this page is our hanging room divider Facet in the color Graphite in a company in Eindhoven, The Netherlands. The color black matches their color scheme of warm and colorfull interior items. It also matches the specific style of the place.